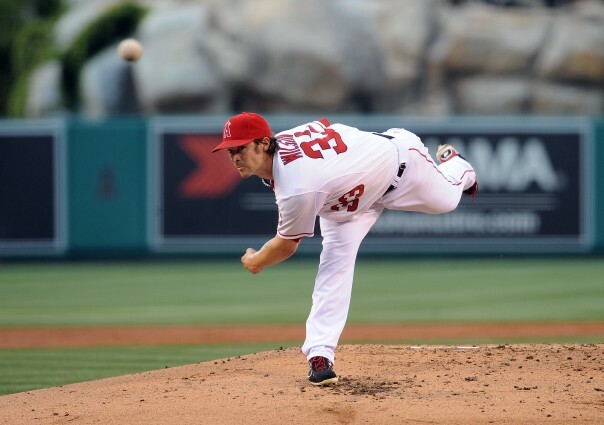 Los Angeles Angels of Anaheim pitcher, Christopher John (CJ) Wilson is perhaps the true-life ‘most interesting man in the world,’ as his Angels manager would say. After he graduated high school in 1998, his life has been a whirlwind of baseball, Taoism, sports cars, and community service. In 2013, CJ managed to set his baseball career high with 17 wins during the second season, finishing with a 17-7 record and 3.39 ERA in 33 starts. 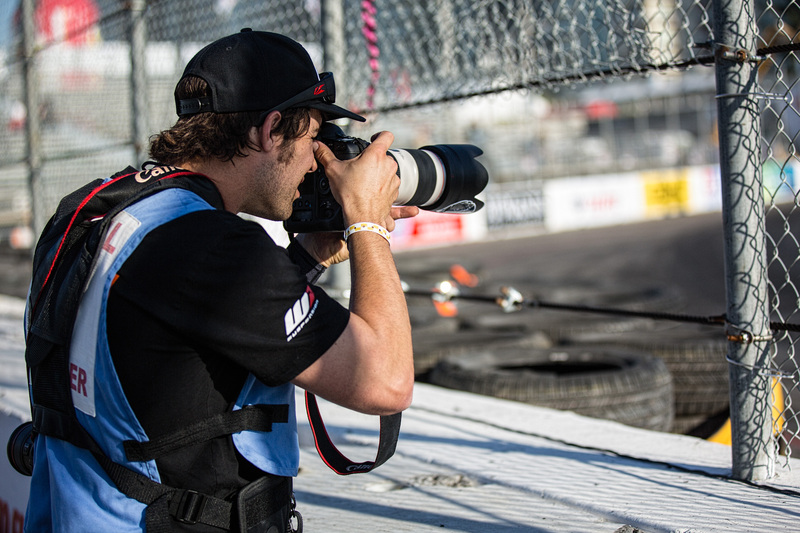 He also owns a sports car team, CJ Wilson Racing, and ever since it was formed in 2010, the team has been tearing up the Grand-Am Sports Car Challenge and Mazda MX-5 Cup Series. You can still catch the team for their IMSA Continental Tire SportsCar Challenge season finale at the Circuit of the Americas on September 19-20, and Road Atlanta on October 2-3 2014. CJ swims with sharks, goes on safari, and has recently taken on one of the most epic adventures of his life–marriage to Brazilian model, Lisalla Montenegro. He is also an expecting father of the electric hybrid supercar, the McLaren P1. While speaking the letters P1 still probably bring butterflies to CJ’s stomach, he is no stranger to 600+ horsepower supercars, having also a Carrera GT, 2010 GT3RS, and Mclaren 12C in his collection. What is it like to be such an interesting and fearless man? Yeah, we were a little curious too. Urbasm: You have been dubbed “The most interesting man in the world” by Mike Scioscia… So, what projects do you have coming up to continue living up to that reputation? CJ Wilson: The biggest things right now besides trying to win the AL West are- expanding my car dealership group to include more brands, and my off-season expeditions. My wife and I are shark diving and then going on safari a few weeks later. Hope that helps me retain the title! Urb: You grew up playing baseball in California, so from a playing perspective, was it nice to return to LA? What did you miss most about it? CJ: LA is fantastic. Regardless of where you are from it is great to be able to live in the place you want to live year round. Most baseball players don’t have control over where they get to play, but being a free agent and having great options is very rewarding. We have a great team this year and this is what we envisioned when we started this season. With the LA/ OC area, I love that there are always new things here to discover and I can stay in touch with my friends. Urb: 10 years ago you received the dreaded “Tommy John” surgery. However, today you are playing better than ever. What was it like getting through that time, and what was the secret to your recovery? CJ: The secret to Tommy John surgery recovery is to really make the most out of nutrition and physical therapy. I knew I’d miss at least one entire season so making a plan in order to find my weaknesses and address them so that when I was back on the field, I’d be better than before. Also off the field it’s great to find new hobbies. That’s where my exploration began. Urb: What is more exciting, being at the wheel of a McLaren P1, or in front of 50,000 people with a championship on the line? CJ: The cars are great but they are a reward for a lifetime of hard work. The emotional payoff from achieving baseball goals is extremely high. Racing and motorcycling add another factor of fear in a physical way, and winning on the track is fantastic as well… but baseball was the genesis for all of my success and I have to stick in that direction. Urb: What are your top three cars in your collection right now? Have any of your teammates in either Texas or LA had a huge impact on your collection? Any rivalries going on? CJ: My favorite three cars are my Carrera GT, my 2010 GT3RS, and my Mclaren 12C. Once my P1 gets here that will replace one of them on the podium but I’m still a few months away. Howie Kendrick as a teammate has the best handle on cars and even the stuff he doesn’t own, he’s researched and looked up. He has some awesome BMWs, a show quality classic and even an H1 alpha. Lots of teammates have one cool car, an Aston, a Bentley, a Rolls, an Audi, but I’m the only dummy with a bunch of 600 horsepower exotics. They’re mainly more sensible than I am! Urb: Teammates, McAleer and McCumbee, are rocking the Street Tuner class for CJ Wilson Racing this year. Do you have plans to expand the team into more racing series in the future? CJ: Stevan and Chad have done great in their MX5 for us this year and we are trying to give them every opportunity to win a championship. Street Tuner is hyper competitive and weekend to weekend anyone could win. In the upcoming years we are looking to expand but sportscars are really our present and future. I don’t see Indycar or NASCAR for us. Urb: Your baseball schedule collides with the racing schedule a lot. Do you see yourself getting more involved in racing after you’ve accomplished everything you wanted in your baseball career? CJ: Once baseball is over I’ll be with the team every race weekend. My poor future kids will probably smell like oil and brake dust. Christopher John Wilson attended Loyola Marymount University following two seasons at Santa Ana Junior College where he was team MVP, the MVP of the Orange Empire Conference and California Junior College Co-Player of the Year in 2000. He graduated from Fountain Valley (CA) High School in 1998. CJ Wilson Racing, is the professional race team of CJ Wilson. 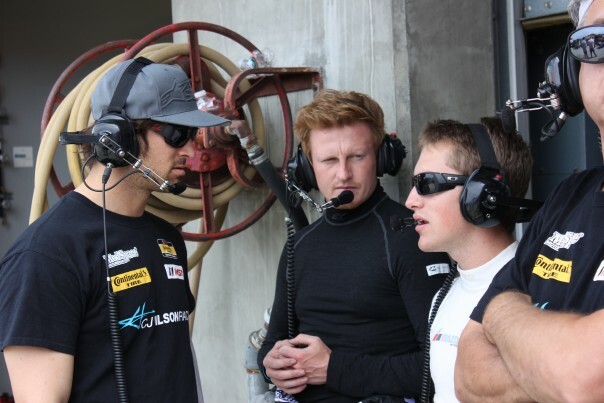 Formed in late 2010, Wilson established the team with the aim of becoming a championship winning sports car team, competing in multiple racing series throughout North America. The team has developed a solid footing in motorsports with race-winning, multi-car teams in both the SCCA Pro Racing Mazda MX-5 Cup presented by BFGoodrich Championship, and the IMSA Continental Tire Sports Car Challenge Series. CJ Wilson Racing has currently partnered with the CJ Wilson’s Children’s Charities to develop a stronger network to help young hemophilia patients. The charity is focused on awareness and fund-raising efforts to help support families that are raising children with hemophilia. Visit CJ at www.cjwilsonracing.com, http://cjwcc.org/, and www.leftylefty.com.